Good for you Manxx! So unfortunate for me that i only recently started real trading (only Oil) and this thread has been very helpful . So thank you and wish you all the best. Thanks, @bleumagic! I didn’t realise that you were now actually trading oil! I thought you were working for a broker in Cyprus? How are you getting on with trading it? I am happy to hear that some of this thread may have been helpful! Yes, I am planning to keep writing about Crude Oil but I am not sure where or what yet! I am keen to concentrate on writing more broadly about the current fundamental and technical aspects of the market (not the daily trade bit) and also far more about the industry itself: e.g. the nations involved, the major companies, the institutions (EIA, etc), oil technology, and so on. All things that interest me and hopefully others too! I am thinking about it! Hi Manxx, doing a little trading when i can. 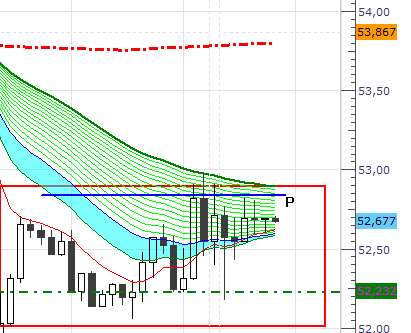 Only WTI, it’s easier to follow 1 instrument and oil seams to do it for me. I like how you need to be aware of global affairs i.e. Venezuela, China trade. Not doing Bad, (meaning i am not losing ) up about 8%, trading for about 2 weeks. I follow this thread every morning plus other sources obviously. and other traders usually from Twitter fav being @chigrl she mostly talks fundamentals. Perhaps something you might be interested in doing. it’s easier to follow 1 instrument and oil seams to do it for me. I like how you need to be aware of global affairs i.e. Venezuela, China trade. I will do that. I am checking first whether what I am planning is in line with BP policy. If so, then off we go. It will be much more structured and broader in scope than this thread has been, but hopefully useful and, who knows, maybe even seductive to some of those who have never tried commodities! OK, so I got the go-ahead for the direction and content that I have in mind for writing about the Crude Oil industry. This is a kind of watershed point for me (although that is more of a hydrological term!) in terms of approach and content and I have been thinking about starting new thread for it. But eventually I concluded that there is little point as there is already some content here in this thread that fits my new approach, so it is better to continue with it here. In addition, commodities in general form an arid region in terms of readership here on BP (which is in some ways an advantage) and so yet another thread on a minority commodity like oil would be entirely superfluous. My own trading remains short term and the 1H chart is my “bread and butter”. Is this way, my trade size is about 10x what I would be prepared to run as a long term position with all the exposure risks that come with long term open trades. Afterall, 10 times a 50-pip trade is equivalent to looking for 500 pips on a position trade. This means that actually for most of the time I have no position open at all. But it demands a good chart set up, deep concentration, a strong discipline and, perhaps most important of all - a lot of patience. But because these trades are, almost by definition, very fast, there is no value in posting them here except maybe sometimes to illustrate another issue. So this thread will now focus mainly on the current market issues and fundamentals affecting price direction and a deeper look at the people, institutions, nations, companies, and technology behind the current news. In other words, I want to create some more depth and understanding of this commodity and its industry, mainly for my own benefit, but if it interests others too then that is an extra benefit. Whenever the price drops we are reminded of the OPEC+ agreement to cut production in order to support prices as well as the possible limiting supply factors arising from outages in Venezuela, Iran and Libya. But whenever the price starts to rise then we are reminded of the global economic slowdown primarily due to the US-China trade talks. China itself has reported data showing a downturn in its growth and Germany and some others are also reporting lower figures as well as downgrading figures for future growth this year. Even the Fed in the US has indicated a shrinking need to increase rates any further in the near term. If growth prospects are weakening then there is less concern over tightening in supply since there is no need to produce oil that is not necessarily needed. And the US continues to build on its shale output anyway - although shale is not the answer to all oil demand as there are many types of oil. For example, Venezuelan crude is a heavy, sulphur-rich crude only suitable for certain types of refineries. Next week may well see some changes in the current trading range. The US-China talks continue and there may be some kind of resolution concerning the Brexit outcome. Venezuela may also come to a head - its current situation is entirely unsustainable and causing huge humanitarian problems. A country on the brink of both economic and infrastructural collapse. End of first full week of Feb 2019. It has been a lean week for trading opportunities with prices remaining within the previous week’s range. Without any clear longer term trend to lean on, trading has been very short term and in both directions. As a result, there was a high number of trades for the week (11), of which just 64% were winners and with a win/loss size ratio just above 1:1. This is not surprising given the tight trading ranges and uncertainty during the week. This is further emphasised by the fact that of these 11 trades only one actually reached its target level. The other 10 were closed manually and in nine cases this was the right decision. 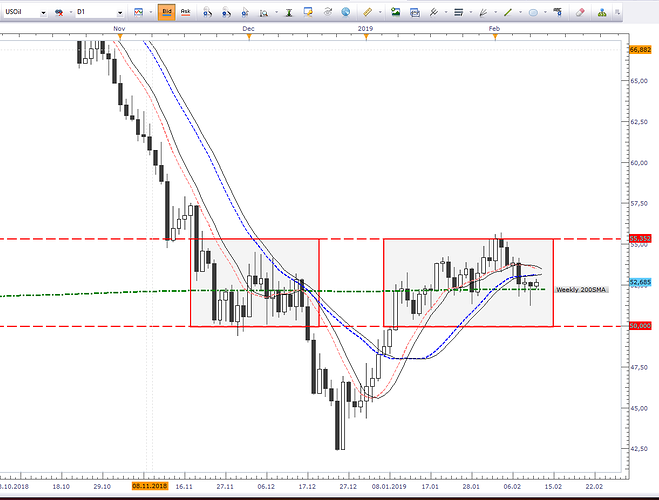 Only one manually closed trade would have reached its target level if left open. No trades reached their stoploss level, being closed manually for smaller losses beforehand due to change in technical setup. These were often “stop and reverse” situations. WIth the US-China trade talks and Brexit developments towards the end of next week, I don’t anticipate any great change in this scenario in the early part of next week. Crude oil and oil products are normally transported by one of four options: overland by pipelines, rail, or trucks, and overseas by oil tankers. Pipelines are typically used to move crude oil from the wellhead to gathering and processing facilities and from there to refineries and tanker loading facilities. 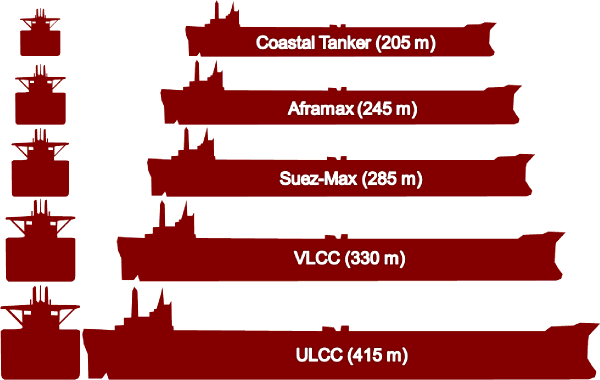 Oil tankers are further sub-divided into two main types: product tankers and crude tankers: Product tankers transport refined oil products, and crude tankers transport crude oil from origin to refining facilities. Tankers transport some 2,000,000,000 metric tons of oil annually and is the second most efficient method of transport after pipelines. For example, transportation via one of the biggest oil tankers adds only between 2 and 4 cents to the price of gallon (3.8 liters). 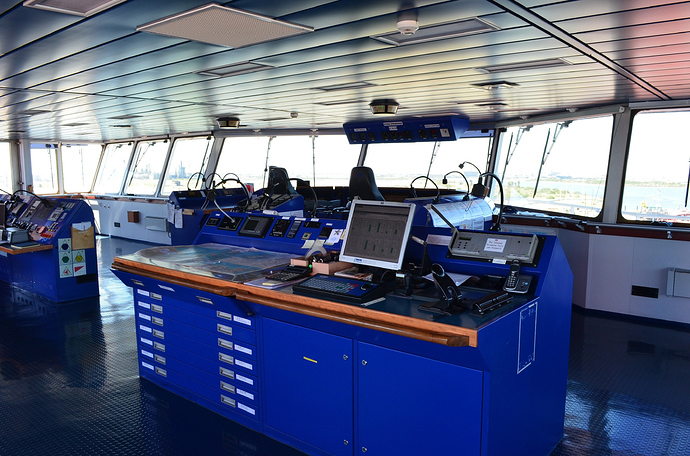 The biggest oil tankers currently in service are the TI Class (“TI” refers to the Tanker Pool operator Tankers International L.L.C. . ) comprising four vessels: TI Europe, TI Africa,TI Oceania and TI Asia. 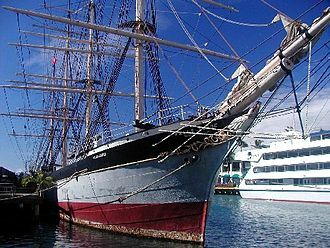 Falls of Clyde, the oldest surviving American tanker and the world’s only surviving sail-driven oil tanker. Starting Mon and with high-level talks Thurs-Fri. Unlikely to see any comprehensive deal from this week’s meeting after President Trump said that he does not expect to meet Chinese president XI Jinping before a March 1 deadline. Also White House economist Larry Kudlow said that there still remained a “sizable distance” separating the two sides. Key issue for these talks concerns intellectual property and other structural reforms. Theresa May to report back to parliament after her EU talks. She is accused of ”running down the clock” so that ultimately there will only be a choice of her deal or no-deal. Unlikely to see a deal approval this week and Weds-Thurs will see a debate and vote on options to gain more time. The European Commission also downgraded growth forecasts for the EU area due to Brexit and US-China trade issues. Crude oil output reducing even more. Potential US buyers are not permitted to pay to the Maduro government and president Maduro has banned PDVSA from loading oil onto US-bound ships unless payment is received in advance. US refineries that use the heavy Venezuelan oil can buy from Canada or Middle East instead but takes longer to arrive and is more expensive. Venezuela is also struggling to pump its crude through its pipelines due to a lack of diluent imports to dilute the heavy crude. A resolution of the two-president battle is likely sooner rather than later. If the current president Maduro either resigns or is ousted then markets will anticipate a speedy increase in oil output. 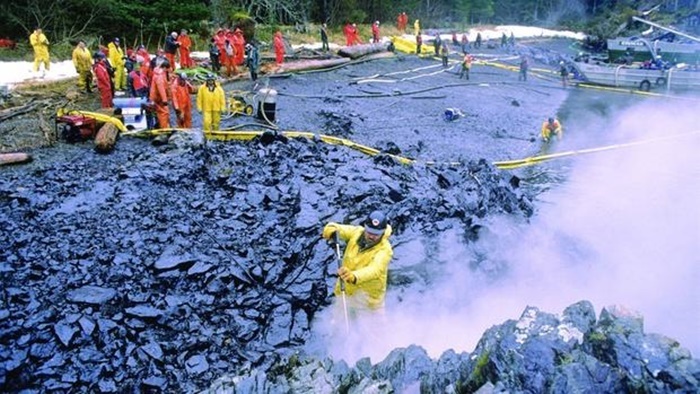 However, how fast this can happen will depend on the state of the oil industry infrastructure and the presence of sufficient workforce expertise, many of whom have already left the country and are working contracts elsewhere. OPEC Secretary-General says that January compliance with the agreed production cuts was 133% across all participating countries. And Saudi Arabia’s energy minister says he’s positive OPEC and partnered nations will meet their production cut commitments to balance oil markets in 2019. But he also confirmed that "Russia has started, slower than I’d like, but they’ve started, and I am sure as they did as in 2017 they’ll catch up and be a positive contributor to re-balancing the market." In addition to the voluntary cuts by the OPEC+ group, additional support is being given by involuntary output reductions from Venezuela, Libya and Iran. US stopgap funding bill expires 15th Feb. A new shutdown will be a negative on oil prices as it threatens US economic growth. Continued short-term trading on signals generated by the 1H chart. 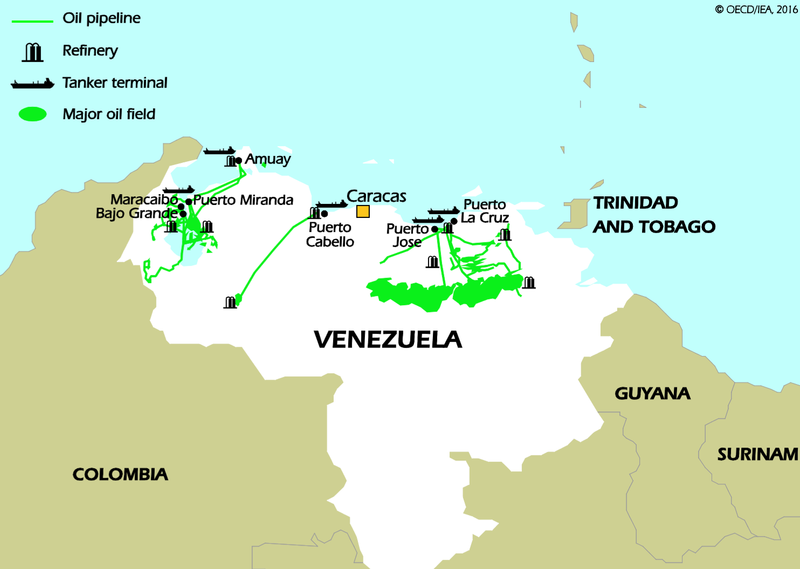 A rather curious development last week was the reporting of a partially loaded very large oil tanker (VLCC) heading for Venezuela. The super tanker, Abqaiq, left the Yanbu port on the Red Sea on January 20 and is scheduled to arrive at Venezuela’s main crude oil terminal of Jose on February 11. 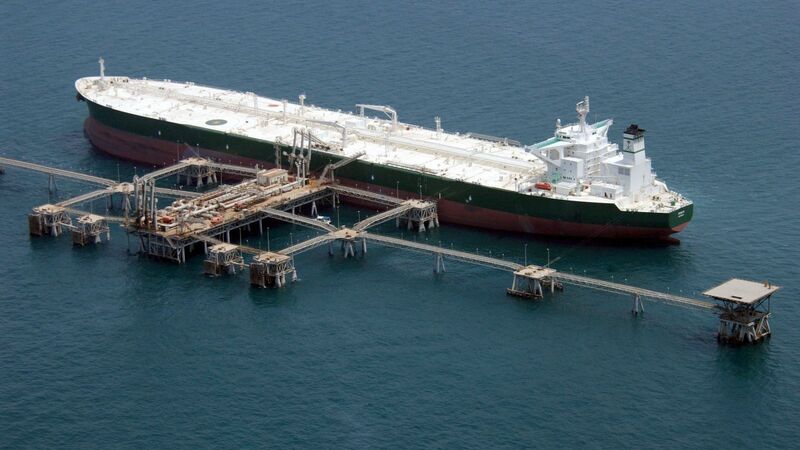 Since the ship is only partly loaded, this would indicate that the most likely explanation is that it is carrying Saudi light oil or a condensate to Venezuela for mixing with its own heavy crude. 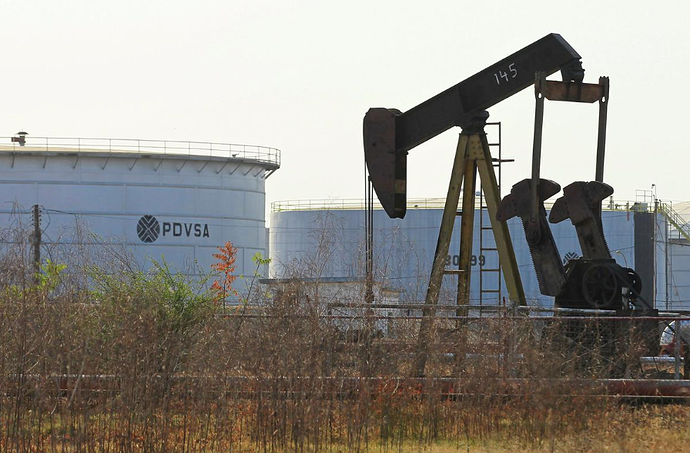 The new U.S. sanctions on Venezuela’s oil industry and its state oil firm PDVSA prevent Venezuela from importing naphtha from the U.S. to use as a diluent to blend with its extra heavy crude oil to make it flow through its pipelines to its terminals. NOPEC will have important repercussions for the oil industry if it passes through US congress and will seriously challenge and change the dynamics of price structuring in the international oil markets. NOPEC, or the “No Oil Producing and Exporting Cartels Act”, is a bill aimed at making OPEC members liable to U.S. antitrust legislation. So far, it has been approved by a committee from the House of Representatives. If it were to now pass into law through Congress, it would remove the sovereign immunity currently enjoyed by OPEC members, both separately and together, and allow the U.S. attorney general to sue separate members of OPEC or the whole group for collusion over price manipulation. This could lead to OPEC members suffering confiscation of their assets in the United States. Such a threat would seriously undermine the capability of OPEC to coordinate supply controls in order to maintain their desired price levels. This, on top of the existing impact from rapidly increasing US shale oil production. However, the passing of NOPEC into law is not welcomed by the international oil companies who would run the risk of reprisals abroad. For example, some of the major oil companies have interests in OPEC countries such as Iraq and Nigeria. But there are signs of interest in the bill from both the Republican and the Democrats, with opinions being reported such as, “The oil cartel and its member countries need to know that we are committed to stopping their anti-competitive behaviour". It is also well-known that President Trump does not look favourably towards OPEC’s attempts to keep oil prices higher. In the current global situation, the passage of such a bill would be a bearish factor on oil prices for a long time - at least until we see a seriously significant increase in global economic growth. This chart shows a significant bullish pin bar formed just recently, but in spite of that the overall tone is quite weak and there is a distinct “heavy” feel to the price movement today and the daily chart is also looking vulnerable on the down side. Our (fictitious, board game style) oil trading company, ManxxOil, bought in a 1000 barrels lot on the earlier dip this morning but sold them out on this upward price drift. Current company crude inventory is zero. Hey @Manxx , I didn’t realize you were doing analysis on oil. This is good stuff. I have some exposure to oil via XOM and MMP, as well as market indices since there has been a pretty strong correlation between oil and indices for a while. I am long XOM and MMP and short NASDAQ, so let’s see how it goes but I am positioned for a long term rise in crude. Hei @krugman25! Welcome to ManxxOil ! and thanks for the encouraging words! By way of explanation, I have often posted here that traders should treat their trading as a business, with all the same serious considerations that a traditional form of company would incorporate. So I thought it would add some fun and colour to an otherwise serious matter to post my thoughts via a fictitious company called ManxxOil which is involved in buying, holding and selling crude oil! 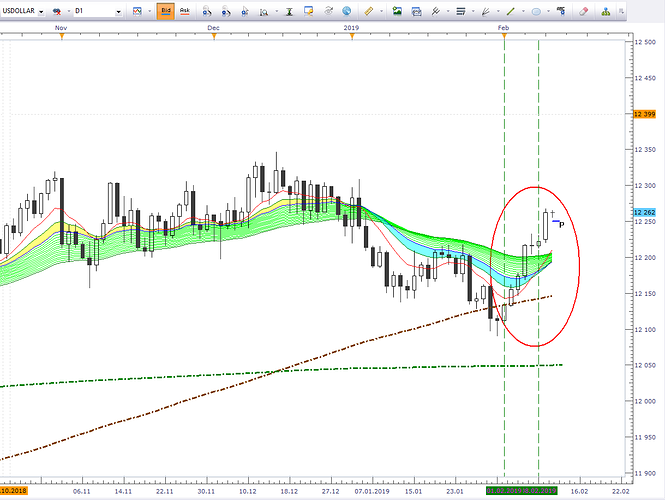 Hence I now term my trades in barrels and cents instead of lots and pips. So forgive me if I sound a bit crazy - It just adds an additional interesting, and fun, dimension to an otherwise lonely, but very serious, activity! haha! These both sound to me like very solid investments, covering upstream and downstream as well as midstream business. The oil industry in the US is going through a huge and very positive upheaval right now and still has a long way to go. And its impact goes way beyond the US borders. The US industry’s reaction to the sudden drop to extremely low oil prices back in 2014-15 was to drastically improve overall productivity and develop very efficient drilling technologies. The result has put the US oil industry into an exceedingly powerful position where it can still profit even with low oil prices, can produce large volumes, and can adjust output very quickly to match objectives. The US is one of the world’s largest consumers of oil and was also one of the largest importers of crude. 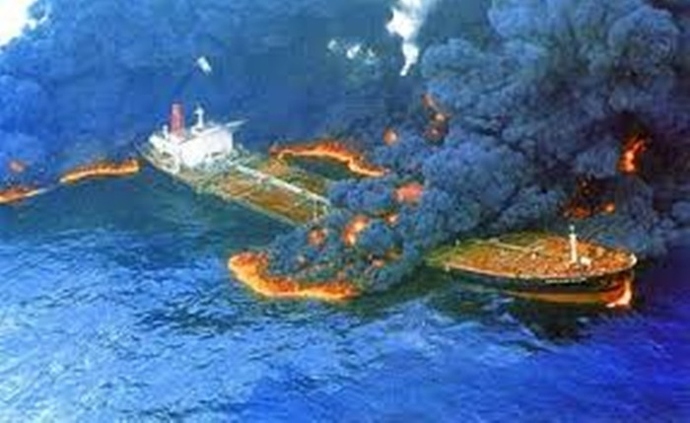 But that has now turned round completely and the US is on the brink of becoming a net exporter of oil and oil products! This combination of huge volumes and efficient operations has changed the global oil price structure completely. But yet another impact of these changes is the positive pressure for expansion on the domestic oil services industry and infrastructure such as refineries and pipelines. Another interesting factor from an oil perspective is both positive and negative - and that is the US President! It is clear that he is keen to maintain a strong stock market but also low oil/gasoline prices! His most favourite weapon in international affairs is trade. And he is already creating huge international reactions in oil prices through his trade policies and sanctions with Iran and Venezuela. All the “big oil” companies seem to be doing well even in a low price environment. So it seems your investments are intelligently well-placed here! as well as market indices since there has been a pretty strong correlation between oil and indices for a while. Yes, I have noticed that too, And global economics is perhaps the most important factor under scrutiny during the current US-China trade issues and Brexit concerns. These two together cover a huge segment of global trade! But it would be wrong to put value on this correlation in too tight time frames. As you say, this is a longer term correlation based on a rather primitive and blinkered observation that increased economic activity means increased oil consumption. But that relationship ignores oil supply factors and the general move to alternative energy sources and environmental pressures behind the focus on EV’s. For example, here is my Daily S&P chart which shows a strong bounce of that weekly 200SMA recently up towards the daily 200SMA. But this move is not being reflected in oil prices at all (or at least only in muted terms), which are only slowly retracing some of last autumn’s collapse. I am positioned for a long term rise in crude. I think a lot of funds and institutions are with you on that even though some have marked down their expectations for 2019. 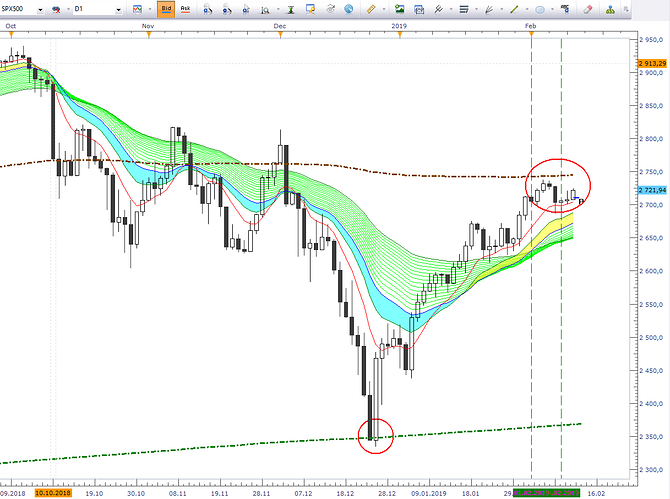 I am also trading from the long side whilst we are down towards $50 on WTI. But I also have an underlying concern that the traditional methods of analysing oil prices are in danger of becoming obsolete in the new world of US dominance in oil markets and greater use of oil in global politics such as being seen with Iran and Venezuela at present. OPEC’s control over supply and pricing is eroding considerably. Even now they are having to cut their own production levels to maintain prices - only to risk the US filling the gaps and gaining market share at their expense. We are already seeing talk of peaking oil demand in the foreseeable future - at the same time as major new discoveries of oil resources are being made such as in S. Africa. I do not believe we will see oil prices back up towards $100 except in the event of unexpected geopolitical events such as a major war, etc. Interesting times we are living in right now - and, love him or hate him, (most people do one or the other - or both!) the most powerful person in the world right now, the US President, is right in the middle of it all with a very large spoon! It seems that agreement has been reached between the US Republicans and Democrats regarding future government funding and thereby avoiding the pending shutdown of the US government this weekend. But this has not yet, to my knowledge, been accepted by the US President. There is no obvious impact on oil prices, which continue at the moment to sit below last Friday’s close, which was already a weak close to the week. Charts are neutral to bearish and I can’t dispel an uncomfortable instinctive gut-feeling that this market is going to give way at any moment back to below $50. But maybe, hopefully, all we are seeing is a “sit and wait” sidelined attitude whilst the US talks with China in Beijing and whilst we wait for the latest Theresa May input to the Brexit saga. Not a good environment for trading - either long term or intraday! No clear view = no exposure =no profits = no losses either! "Saudi Arabia, the world’s top exporter and de facto leader of OPEC, said on Tuesday that it would reduce oil production to nearly 9.8 million barrels per day (bpd) in March, about half a million bpd more than it originally pledged. Also at the radar are hopes expressed by U.S. and Chinese officials that a new round of talks, which began in Beijing on Monday, would bring them closer to easing their months-long trade war." Both good news statements for oil prices - but is it sustainable? If it drops back below last week’s close then I will dump it and look to purchase at a lower level. Edit: Just moved stop to breakeven. So now it is a nice risk-free day trade. If it fails to reach my sell price and reverses then I will be selling my stock out at par. No problem! Edit 2: Sold off inventory at the 1-hour 200SMA. Nice day trade! @Manxx Thank you for the comments. You may not know this but I developed a cloud-based monitoring system primarily for natural gas pipelines (we are currently expanding it to do liquids as well). We currently have our system installed on over 600 metering stations with about a dozen different gas & oil companies. We are primarily installed on midstream pipelines. Our biggest customer right now is Boardwalk Pipeline and Atmos Energy. Last year I traveled to meet with Cheniere Energy(a big LNG player) because they were looking at our monitoring system. Just last week my boss traveled to Mexico to meet with O&G, Petrobras, and another company that I can’t think of right now. He was able to seal the deal for 23 offshore monitoring systems in the gulf coast on the Mexico side. We are also installed on pipeline feeds into power plants so we have exposure to that side as well. A lot of these midstream companies aren’t affected much by low energy prices since they are just marking up the product by the same amount regardless of spot price. It is an exciting industry and I like “being on the inside” and have relationships with a number of these large energy companies. It definitely gives me a lot more confidence to invest my own cash into the long term prospects, which I believe to be very well. Yes it is. And it offers great potential for trading in many forms! But what i like most is dealing with a concrete underlying commodity, which offers so much scope to learn more about all kinds of things in addition to just making money from it. Yes it would be …IF oil can hold these levels and advance further. But we have been here before and somehow buying enthusiasm seems to run out of steam. 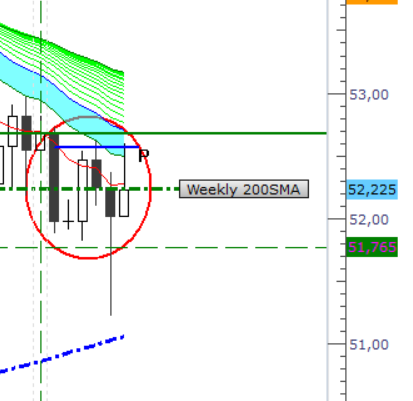 We managed to touch $54 on WTI but immediately dropped back 50 cents.